You can't accuse Apple of being dull: just as the iPhone 7 excitement begins to subside, it turns out that Tim Cook may be buying a McLaren. Or rather, the entire McLaren Technology Group. According to the Financial Times, Apple is seriously considering buying the entire organisation. McLaren has since debunked the rumour with brief statement:“We can confirm that McLaren is not in discussion with Apple in respect of any potential investment”. Naturally, thejournalist involved has said he stands by the story. In any case, it doesn't stop us asking: would Apple acquiring the supercar company be a marriage made in heaven, or a corporate car crash? Has the Apple car run out of road? According to the rumour mill, Apple's “Project Titan” electric car is in danger of turning into a clown car. The New York Times says that dozens of people have been laid off in an attempt to reboot the project, while other reports say that key hires have left Apple. The recent appointment of Apple stalwart Bob Mansfield to helm the project comes amid reports that Apple is no longer interested in building the car; rather, it's focusing on the software for self-driving cars instead. Which fits quite neatly with, say, buying McLaren. Apple famously likes to own the key technologies in its products, so an investment in or outright purchase of McLaren would enable it to do that with cars while sticking to the knitting. Apple would benefit from McLaren's engineering expertise, production expertise and technology, leaving Apple to concentrate on making great software to integrate with it. That's hardly a new idea: Apple was reportedly interested in having BMW's i3 or something like it as the base for its car, although that particular partnership didn't happen. Owning a car maker for its electric car project is not the only benefit for Apple. McLaren's Applied Technologies is involved in a range of industries including healthcare, pharmaceuticals, transportation and financial services, with partnerships focusing on everything from improving the efficiency of airports to tackling obesity. It has developed electric engines and environmentally friendly technologies, and it has also invested heavily in research into wearable technology and the systems to analyse wearables' data. That research has included monitoring patients with neurological disorders, helping athletes achieve better results and even training surgeons. What's in it for McLaren? 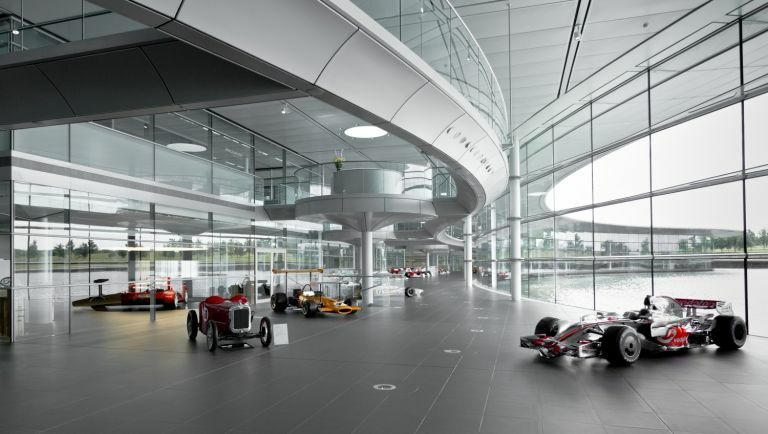 Cars, wearables, health research… the more you discover about McLaren, the more you start to think “of course! It'd be perfect!” The firms even have the same architect designing their headquarters. But what does McLaren get from Apple's involvement? The short answer is money. While McLaren Applied Technologies is highly profitable, the FT reports that the wider organisation is currently losing money and that one big investor, the sovereign wealth fund of Bahrain, may be interested in recouping its cash. Apple has very deep pockets and could fund McLaren's most unlikely moonshots without missing the money. One of the biggest obstacles might not be financial, though. McLaren's Ron Dennis is an interesting individual, and has been variously described as “didactic”, “not the easiest person to work for”, “controversial”, “single-minded” - and that's just one biography. Others use terms such as “messianic”, “abrasive”, and “aloof”. Would Ron Dennis be able to work for or with Tim Cook? Cook has a track record here: the same descriptions applied to Dennis about his obsessive attention to detail, steely resolve and passion for his products could equally describe Cook's former boss, Steve Jobs.